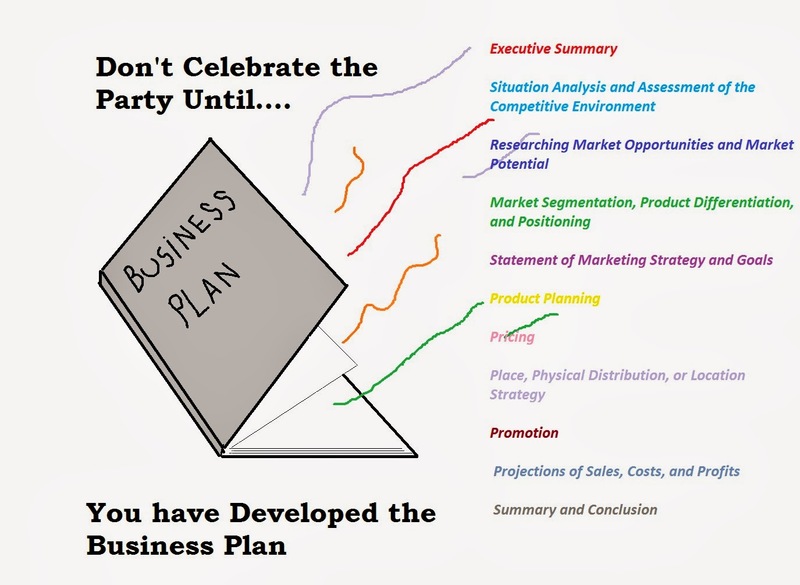 The business plan is the single most important document in the development and promotion of any business. Without a well thought out business plan it is unlikely that a new venture will succeed or be able to navigate the often difficult and complex environment. When starting a business people often focus on their great idea but fail to understand the important components and steps that lead to successful development. The business plan helps to create the business model. Each business needs some way of competing in the market. The business plan is the most significant planning exercise that can lead to the success or failure of the entity (McKaskill, 2011). Ensuring that it is detailed and critically analyzed will help minimize problems later. The formation of a business plan should include research into each of the areas. Making “rule of thumb” judgments where more exact data is needed can be a mistake. The quality of the plan is based upon the depth and strength of the analysis in each of the sections. Inappropriate conclusions and lack of insight can have serious financial consequences. The sections are designed to give a broader overview of the competitive environment, the potential for success, marketing strategies, pricing strategies, how products/services are to be distributed and promoted. Understanding each of the components will help the potential business owner think through their model systematically and ensure major concepts are not left out or skimmed over. One component shouldn’t be given excessive interest over others. According to Cousins (1991), many executives focus heavily on finance and very little on strategic planning. The mistake in this approach is that finance can take a very short-term perspective and become penny-wise and pound foolish. Having a strong strategy that is based in part on finance can lead to greater growth than a purely financial policy with no vision beyond short-term financing. If a business is going to need financing then it better have a sustainable strategy. Everything within the business plan should connect to everything else. Where there appears to be some aspects that do not fit together additional research is needed to understand these gaps and find solutions. For example, the marketing plan should work with the strategic plan (Bowen, 2002). The entire business plan should work together much like a system in that the components all promote, push, and work with each other to achieve objectives. The system should be open enough to ensure that new information from the environment will afford opportunities to continually adjust that system for accuracy and relevancy. If a person plans on funding the business plan with their own money they can be as simple or complex as they desire. However, when using other people’s money they will want to be sure they understand the details and the strategic reasoning. Both the loan department of banks as well as venture capitalists will use the plan in making decisions to provide funding or pass up the offer (Varilek, 2013). The business plan is an integral strategic process that should not be ignored or completed without deep thought. It could take someone years to complete a competitive business plan that works. With the majority of start-ups failing to survive after a few years it is extremely important that the business model provides an opportunity to grow one’s investment as well as the investments of others. Opening a business can be risky and there is no reason to make it riskier by skipping steps. Bowen, J. (2002). Benefits of a marketing plan. UNLV Gaming Research & Review, 6 (2). Cousins, L. (1991). Marketing Plans or Marketing Planning? Business Strategy Review, 2 (2). CHAPTER 7: PREPARING THE BUSINESS PLAN. (2011). In Financial Decision Making for Entrepreneurs & Managers (pp. 77-94). Tom McKaskill. Varilek, M. (2013). Five factors to consider when borrowing. Wyoming Business Report, 14 (3).